TREEL is the brainchild of two like minded disruptors and relentless innovators with the vision to evolve vehicle safety to a higher level and bring it to each and everyone - from bikes to hatchbacks to trucks. This quest for improving ‘road safety’ also took them to formulating patented safety technologies for commercial fleets wherein more than 80% of the current trucks are without appropriate safety onboard. the smart power that will save fuel, save lives and save the environment. A successful serial entrepreneur and technocrat with over 24 years of experience in Electronics, Embedded Product Design and Manufacturing, across a wide gamut of industries. Apart from Industrial Electronics, Chetan also specializes in Measurements and Instrumentation. His biggest strengths is his innate ability to successfully solve problems, regardless of how complex they are. A Product leader at heart and a disruptive explorer at soul. 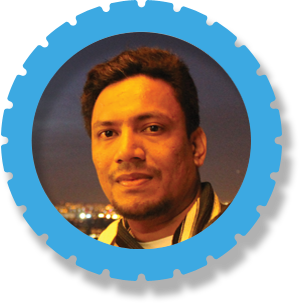 Manish comes with prolific experience in managing a broad portfolio of products and guiding each of them through the entire product lifecycle. 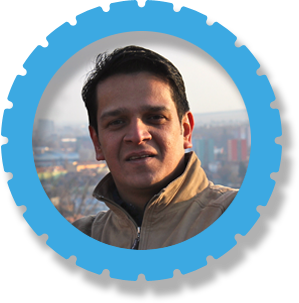 In current run of 15 years working on and off the ground with automotive electronics and product design, he dedicated more than 10 years towards transport and logistics verticals while working in countries like USA, Germany & China. He has adapted some of the most unique best practices and looks to employ them further here. If that’s not all, Manish has led research teams in the field of connected and autonomous vehicle development. He now is playing the balancing act of setting up TREEL and completing a PhD in connected vehicles. In early 2017 the first prototype of a smart tyre sensor was created - with the ability track tyres (not vehicles) and monitor critical data for business insights. TREEL Mobility Solutions now has more than 5 variants of sensors.